*5 STAR OFFERING!!!!! **OVER $86,000 IN UPGRADES/IMPROVEMENTS MADE ON THIS CUSTOM BUILT BEAUTY IN PAST 4 YEARS! !GLEAMING HARDWOODS,CUSTOM WINDOW TREATMENTS,STONE TERRACE&PROFESSIONALLY LANDSCAPED!! 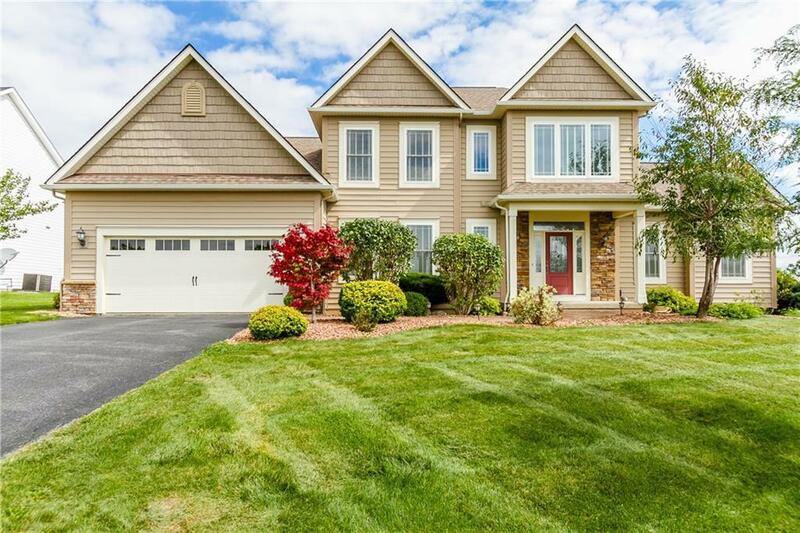 !FABULOUS FINISHED TERRACE LEVEL ADDED FOR BONUS ROOM OR GUEST WING!GORGEOUS LAKE VIEWS OF BEAUTIFUL CANANDAIGUA LAKE!! *OPEN & AIRY W/ WALLS OF WINDOWS*FLAT SCREENS,SURROUND SOUND, EXTENSIVE CUSTOM MOLDINGS & TRIM *STATE OF THE ART GOURMET CHEF'S KITCHEN W/ FURNITURE GRADE CABINETRY & GRANITE COUNTERTOPS *GLASSED MORNING ROOM* LUXURIOUS 1ST FLOOR MASTER SUITE W/ 2 SIDED FIREPLACE & SPA BATH W/ OVERSIZED SHOWER * FINISHED LOWER LEVEL W APPROXIMATELY 800 SQ FT, A BDRM & FULL BATH, COMPLETE W/ SURROUND SOUND * SELLER'S LOSS IS YOUR GAIN! !MORELL BUILT....EZ TO VIEW AND READY FOR IMMEDIATE OCCUPANCY! Directions To Property: Head South Onto West Lake Rd, Right Onto Wyffels Rd, Then Left Onto Acorn Hill Dr.